Beebe Gallini gets into 2018! Beebe Gallini has been working on the fun stuff since last we spoke: New material! New recordings! Live shows! New Vinyl! and Hats! Hats! Hats! We thought it was time to let you in on what’s been going on. 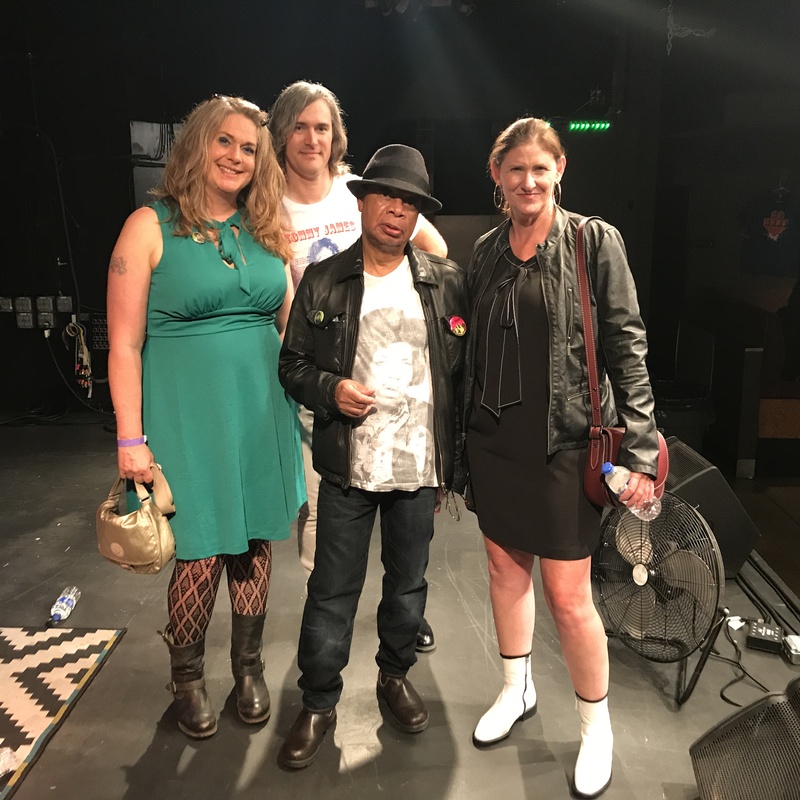 After a quiet summer spent mixing recordings, writing and traveling with our families, we came together in the fall for an epic show with one of our idols – Derv Gordon from the Equals! Derv played in downtown St. Paul in September backed by So What out of Oakland, CA. Derv’s still got the moves and that amazing voice! We were totally geeked to play with him and kick off the 2017-18 BG season in style. We’ve got more news to come so watch this space! Georgia, Travis and Amy with the legendary Derv Gordon! Next PostNext Death by Unga Bunga at the Entry!